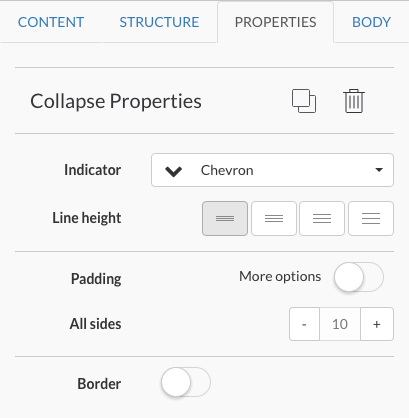 Read here to learn how to create Content Pages and all of the feature properties' available! 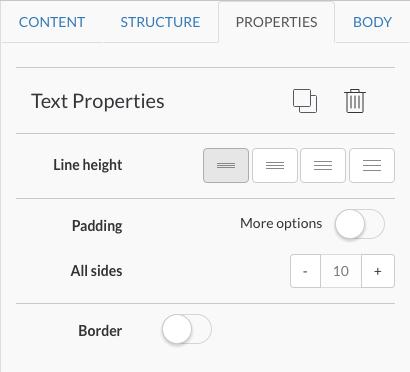 The Content Creator properties gives you control over the style, size, border, padding and more. 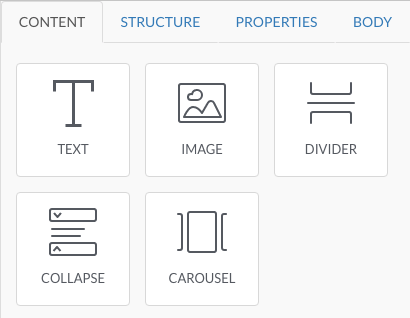 You can tailor the different content items after adding them to your page using the properties tab. The Padding slider, gives you the ability to manipulate the top, bottom, right and left. Otherwise you can manipulate all sides. Finally there is the border toggle, this gives you the option to add border to your text container and customise elements such as the size and colour. Tip: Similar to our message maker, you will also have the ability to manipulate text elements. This panel below appears when you click on the text content item. This toolbar gives you a number of text manipulation settings including the ability to change the font type and size. It also lets you setup hyperlinks and deeplinks to let you create highly interactive material within the Zunos environment. 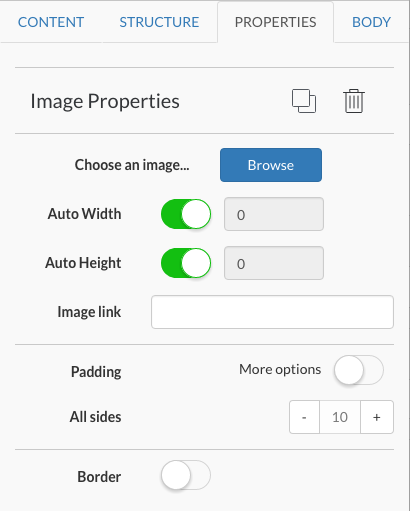 Finally there is the border toggle, this gives you the option to add border to your image container and customise elements such as the size and colour. You can choose the color of your divider, by either clicking on the color swatch or entering the web color code. 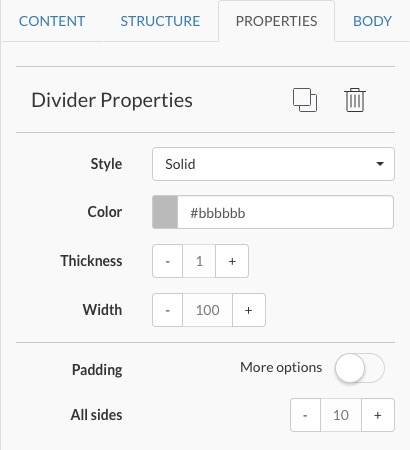 Finally there is the divider padding settings, again either for all sides or by enabling the more options, you can edit the individual sides. 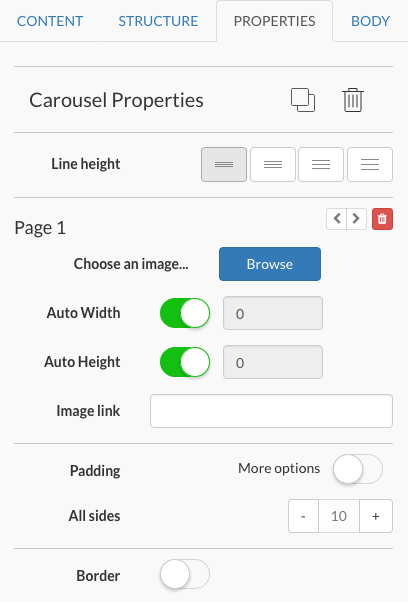 The arrow buttons allow for reordering of the pages in the carousel and also to remove a page with the trash can.